After every iPhone launch, the new handset gets compared to its predecessor. However, this time around this has become a three way comparison since the company has unveiled a couple of iPhones at the same event. Now before throwing numbers and jargons, let me tell you that the iPhone 5C is a plasticky version of the original iPhone 5. From screen to processor, the innards are almost the same. 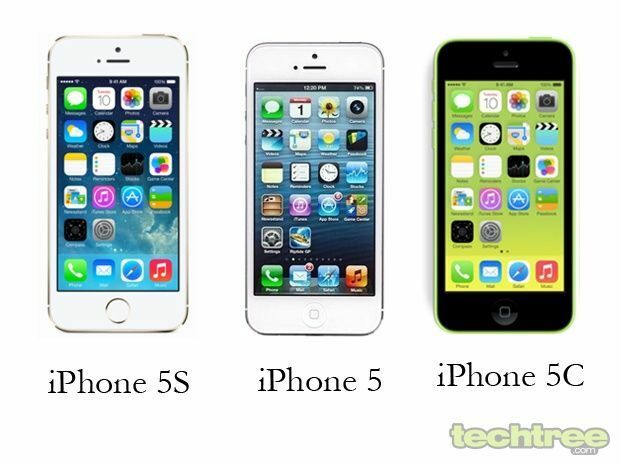 The most significant difference is that the 5C is thicker, heavier, and less classy than the iPhone 5. On the other hand, the iPhone 5S iPhone looks almost identical to its predecessor, but packs in quite a few unique features. Apart from the faster chip and improved camera, the Touch ID feature is noteworthy. On the software front, the latest iPhones will ship with iOS 7. But since the iPhone 5 will also receive the latest version of the OS in coming weeks, it’s certainly not a differentiator. iPhone 5 - 4" IPS screen with 640x1136 pixels, Scratch resistant. iPhone 5C - 4" IPS screen with 640x1136 pixels. iPhone 5S - 4" IPS screen with 640x1136 pixels, Scratch resistant. Yes, the iPhone 5C is probably the only Rs 35,000+ phone to lack the scratch resistant layer. iPhone 5 - Aluminium body. iPhone 5C - Colourful polycarbonate. iPhone 5S - Aluminium body. While I love colours, the 5C seems like an iPhone trapped in a Lumia's body. On the other hand, the iPhone 5 and 5S win you over with their elegance. iPhone 5 - A6 chipset clocked at 1.3 GHz (dual-core). iPhone 5C - A6 chipset clocked at 1.3 GHz (dual-core). iPhone 5S - A7 chipset clocked at 1.7 GHz (dual-core). According to Apple, the A7 chipset is twice as fast when compared to the A6. The A7 also has a companion processor, the M7, which is designed to free the primary processor from computing the motion data (coming from accelerometer, gyro, and compass). iPhone 5 - 8 megapixel camera with LED flash, ƒ/2.4 aperture. iPhone 5C - 8 megapixel camera with LED flash, ƒ/2.4 aperture. iPhone 5S - 8 megapixel camera with dial-LED flash, ƒ/2.2 aperture. The iPhone 5S sports a 15% larger camera sensor compared to its predecessor. Throw in an aperture of ƒ/2.2 in the mix, and you get a camera that should do better in low-light photography. iPhone 5 - 1440 mAh Li-polymer. iPhone 5C - 1510 mAh Li-polymer. iPhone 5S - 1570 mAh Li-polymer. The iPhone 5 had a marathon battery. And since the battery capacity has been slightly increased in the recently announced iPhones, expect it to get even better. iPhone 5S - Touch ID. Thanks to the fingerprint identity sensor, you can unlock your iPhone 5S by placing your thumb on the Home button. This feature is missing in the iPhone 5 and 5C.